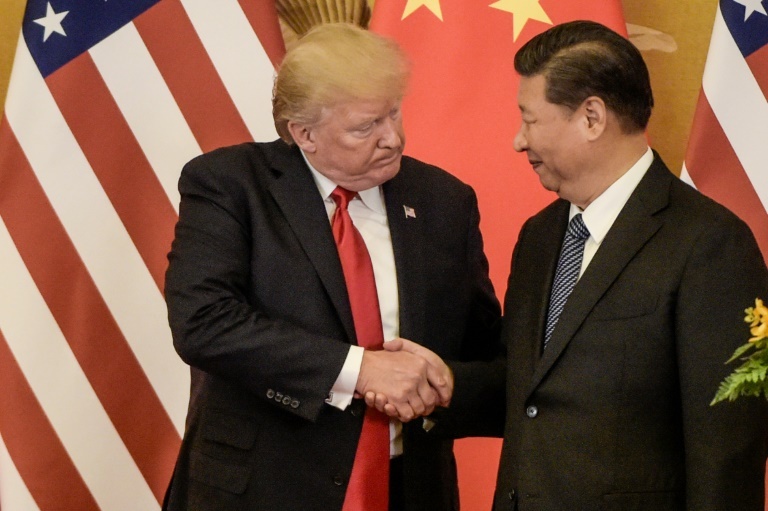 From pig heads to pistachios to whiskey, China’s proposed list of targeted U.S. products for higher border taxes could take a bite out of bilateral trade between the world’s top two economies. After Washington imposed new tariffs on billions of Chinese imports just past the stroke of midnight Friday, Beijing hit back immediately dollar for dollar. China has not officially updated its list of items targeted but last month gave a detailed run-down that was not expected to change. Big-ticket items from the U.S. like soybeans, autos, and sorghum were listed, but also some less headline grabbing items that may find it more difficult to find a market beyond China’s 1.4 billion consumers. Pork offal, the entrails and internal organs of hogs that most American foodies shy away from are big sellers in China, bringing in $251 million last year. “Feet of swine” and “head meat of swine” were the most enticing organs, U.S. customs data shows. Dongguan Qianteng is still considering its pig feet options post-tariff hike, Zhu said, adding “price is critical”. Demand has not flagged: barbecued feet sprinkled with sesame seeds is a local delicacy. California’s trademark crop, grown on bushy trees in the golden state, landed on Beijing’s tariff list along with a handful of American fruits and nuts. Chinese eat almost half of America’s pistachio export, research from trade data firm Panjiva shows. Pistachios, along with $175 million worth of nuts are set for new taxes. “They’re a major buyer of just about every product that we have,” Ryan Jacobsen, CEO of the Fresno County Farm Bureau, told Sacramento’s Capital Public Radio. “We’re talking a very substantial potential loss if the consumers don’t pick up the difference on this,” Jacobsen said on the radio. The sale of America’s unwanted chicken feet, or “paws” as they are known within the industry, to China is what many economists consider the holy grail of trade: U.S. waste becomes a Chinese treat. Sales were looking ripe for growth before the latest tariffs. “If you think about those type of products there’s a limited number of markets they can go to,” said Christopher Rogers, an analyst at trade data firm Panjiva. “It’s going to hurt (the) American farmer’s earnings at the margin,” he said. America’s salmon exports to China are on a tear, with the most popular type exploding 176 percent last year to earn $171 million. It was perhaps set for another boost this year after state media inadvertently revealed a good portion of China’s domestic salmon — one-third of the salmon eaten by local consumers — was actually a type of rainbow trout, farmed in northwest Qinghai province. Every month this year about five shipping containers of Jack Daniel’s Tennessee Whiskey left port in Savannah, Georgia bound for China, according to trade data from Panjiva. In Beijing and Shanghai, clubbers guzzle the Tennessee honey with green and black tea, and occasionally, Coke. Gotham East, a Shanghai-based spirits importer, said it had tried to rush a July shipment of Ragtime Rye whiskey from New York through customs to avoid the new tax but wasn’t able to get it processed in time. “Everything that could go wrong has gone wrong,” said Daniel Taytslin, Gotham’s co-founder.